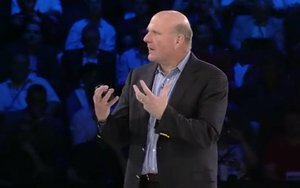 Microsoft is adding a set of BI (business intelligence) tools to its hosted Office 365 service, including some capabilities not yet offered in stand-alone Microsoft software products. Power BI for Office 365 “brings together our entire BI stack and offers it as a service,” said Eron Kelly, general manager for SQL Server product marketing. Microsoft will unveil this service at the company’s Worldwide Partner Conference (WPC) this week in Houston. Office 365 already offers some BI capabilities. Office 365 ProPlus offers both Power View and Power Pivot through the online edition of Excel. New data mapping functions using Bing Maps. With this new service, users are given a landing page, provided by SharePoint, along with a catalog of data sources and a set of analysis tools. Excel serves as the starting point for analysis. The data sources, chosen by an administrator, can be taken from either the organization itself, or from public data sources such as Wikipedia tables. The user can load one or more data sources in an online Excel spreadsheet, and analyze them through a number of new tools. One tool, called Power Query, formerly called Data Explorer, allows a user to pull external data into an Excel spreadsheet. A user, for instance, could create a spreadsheet from a Twitter feed, dividing the Twitter messages, dates, locations and users into separate columns. Another tool, called Power Map, can place geographically coded data on a map, provided by Bing Maps. It could visually summarize, for instance, how many Twitter messages originated in each city in a country, indicating the number of messages by the height of a bar that rises above the location of the map. 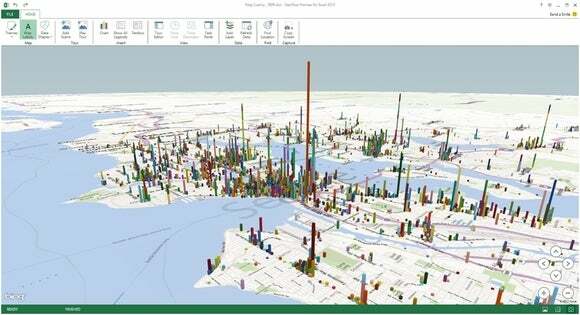 Power Map debuted as a beta Excel 2013 plug-in called GeoFlow. Once a user creates a report, it can be published back to the organization’s data catalog, where others can view it. Microsoft is planning on releasing a Power BI mobile app for Windows 8 and iOS devices. Reports, which are published through Power View, can also be rendered in HTML5, in addition to Power View’s default Silverlight format. Power BI will also come with a new natural language query engine. A user can type in a query into a search box, such as “How much revenue did product X generate last year?” and Power BI would return a graph, based on existing data, showing the revenue data for the past several years. The natural language query engine “makes it easier for an average user who doesn’t know how to structure a proper SQL query,” Kelly said. Pricing for Power BI has not yet been finalized, though it will be based on per-user, per-month model. Microsoft did not set a date for general availability of the service. Office 365 has a familiar look and feel, and great integration with the desktop Microsoft Office. It also offers additional tools that make it a leading choice for organizations seeking an online productivity suite.